The end is here. Life as you know it has gone to hell after the mother of all zombie outbreaks. Now you and the few scattered survivors must band together to survive and rebuild in a 3rd-person action game set in a dynamic open world. You choose where to make your stand, designing and fortifying your home base, performing daring raids for food and ammunition, and rescuing other playable survivors with unique talents. The open, sandbox world develops in real-time, shaped by your actions, dynamically generating content based on your choices and the ever-increasing zombie threat. 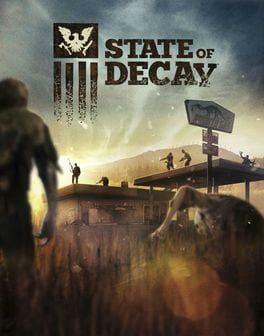 State of Decay is available from 15.90 to 18.99 from 1 shops.